120 Volts / 1,500 Watts / 5,118 BTU. Patented Flame technology. Requires no piping or venting. Flame operates with or without heat for year round enjoyment. Dimplex realogs are visually captivating and RV compatible. 1 Yr Manufacturer’s Warranty. With a thin, black glass surround revealing flames that are vivid day or night, the Multi-Fire XHD invites you to get cozy by the fire. Customize the flames above the hand-finished, inner-glow logs, and create the perfect atmosphere by adjusting the LED lighting with the remote control or built-in touch controls. With safe and powerful ceramic heater warming up to 1,000 sq. 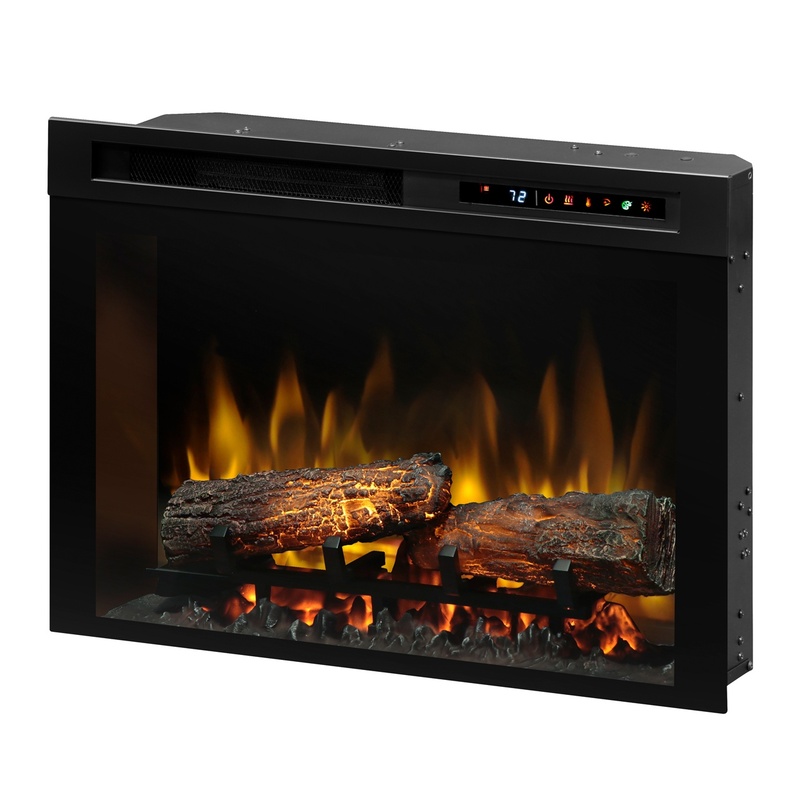 ft., the Multi-Fire XHD is the ideal way to add comfort and ambiance to any room.